We believe that each of us needs to come to God as we are. 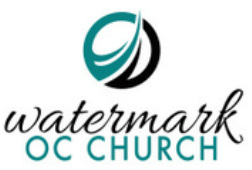 There are no "perfect people" at Watermark, just believers who are striving to better understand God. A typical service will last about an hour and contain different elements, from praise music to multimedia to the arts, all of which will engage the heart as well as the mind. Our goal on Sundays is for you to walk away having made new friends and fostering a deeper connection with God. We hope that you will have been challenged in some practical way to better love and know Jesus! The Pizza Bakery, the official caterer for OCSFC! Need lunch or dinner for tonight? Catering for your event? For all your business printing and signage needs, contact us at vcs1@sti.net. Body Pro specializes in weight loss by maximizing your metabolism and promoting a healthier lifestyle. You may contact Dr. Scott Collie for more info. Or click the link to watch a short video and register for a free webinar. Dr. Scott Collie has been in practice since 2001 and holds a doctorate in Chiropractic and a Certification in Clinical Nutrition. We specialize in difficult diseases and are 4th generation in natural medicine. The medical field is more than a profession to us, it is a family tradition and a way of life. Our family has been serving patients in California for over 35 years and in the USA since 1980. We use the same treatment methods administered by the emperor’s royal physician of the GIN dynasty. We have treated over 45,000 patients and awarded Best of Orange County and also included in the elite Business Hall of Fame. Patients who come to agape acupuncture are from all walks of life, from the young to the elderly, and many are medical professionals themselves, including medical doctors, physicians, nurses, chiropractors, acupuncturists, and post graduates. Our clinic is MD recommended and acupuncture is FDA approved. BEST OF ORANGE COUNTY AWARD | BEST MEDICAL ACUPUNCTURIST AND HERBALIST | BUSINESS HALL OF FAME | WASHINGTON D.C. | Agape Acupuncture, Inc. | Agape Natural Health | Orange County, Newport Beach has been selected for the Best of Orange County in the Medical Acupuncturist & Herbalist category awarded for OC Best medical acupuncture, acupressure, acupuncturist and herbalist. Agape Natural Health has also been awarded the Orange County Business Hall of Fame. To commemorate your inclusion in this elite group an exclusive Hall of Fame Award, available only to Hall of Fame inductees. The Best of Local Business Award Program recognizes outstanding local businesses throughout the country. Each year, companies are identified that we believe have achieved exceptional success in their local community and business category. These are local companies that enhance the positive image of small business through service to their customers and community.